Just look at those cute little home-wreckers! If you’re watching a wildlife documentary, a beaver dam is an engineering marvel and a wonder to explore. When you own a home and they’re building on your property, though, it can be a different story. Beavers cause damage to the trees on a property when they’re building their dam, and increase the risk of flood damage. You may even hold liability for the impact of the dam on the waterways above and below your property. As a result, they can be a property owner’s nightmare. So, why do beavers build dams, and what can you do about them? Beavers are considered a keystone species, because the wetlands created by their dams are the home to many other endangered species. As a result, your options for dealing with them on your property may be limited. An understanding of dam building behavior can help you to find alternatives to lethal trapping as a solution for your beaver problem. A beaver builds a dam for the same reason that you landscape your property: to alter the environment to suit their needs. Beavers need deep ponds and wetlands to thrive, and the dam lets them create those conditions. Once the water level has reached sufficient depth, the switch to building their submerged beaver lodge for protection from predators and for food storage during the winter. Constructed from mud, rocks, and the trees that the beavers gather from the area, dams are built in areas of shallow or slow-moving water, and can be over five feet tall, and over 300 feet long. They can hold back water nearly six feet in depth, which can result in a significant alteration to the environment. If that doesn’t sound like a great thing for your property, you might be asking “Are beavers endangered?” Although they aren’t an endangered species themselves, the importance of their wetlands for other endangered species can make them an important natural resource. Check with your local fish and wildlife department to determine what options are available to you. Protecting trees: If you have trees that you want to protect from the beavers, a trunk guard can keep the rodents at bay. An alternative to fencing is to paint the base of the trees with mason’s sand and latex paint. Your protection should cover the bottom four feet of the tree. Controlling the water level: If you cut a notch in the dam and run a pipe through it, you can stop the water level from climbing high enough to cause damage. Beavers will repair the damage, but won’t stop the pipe from draining the pond. These kinds of measures can help you to limit the impact of a beaver dam on your property. If the location of the dam is too vital for these kinds of methods, you may need to reach out to a wildlife management service. Unfortunately, whatever removal method you choose, destroying beaver dams isn’t always effective. Beavers have enough young that there are usually a few survivors; and the environment is still right for them to build a dam. The new building efforts will often only expand the area of damage. Flood control: During periods of heavy precipitation, beaver ponds become collection points for excess water, helping to limit the impact of the flooding downstream. 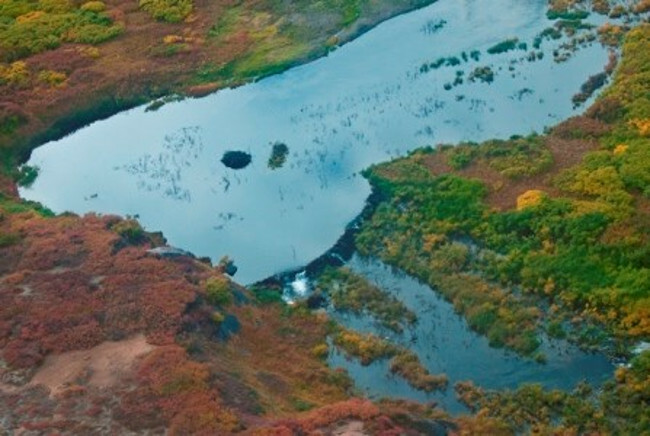 Water filtration: The bacteria that thrive in the beaver pond environment consume many of the nutrients that end up in the water as the result of human activity. Nitrogen, phosphates and many pesticides and herbicides are filtered by these bacteria. Wildlife resource: Beaver ponds are invaluable to the lifecycles of many forms of wildlife, acting as spawning beds for salmon and trout, and forming an ideal habitat for frogs, toads, and some songbirds. Wetlands are one of the most prolific habitats, so having a beaver pond on your property will increase the wildlife activity. If you can’t beat them, you might as well join them; or at least sit back and enjoy the sights! When you need answers to real estate law questions like “Why do beavers build dams?”, the legal Experts at JustAnswer can save you the time and expense of scheduling a visit with a lawyer. For legal advice, they charge by the question, not by the hour! Have you had problems with beavers on your property? Tell us about it in the comments!